HÀ NỘI — Việt Nam’s three-year run of growth in its residential property market is expected to continue in the short term, a study conducted by FT Confidential Research (FTCR) has revealed. According to FTCR data, would-be buyers are more confident about making purchases in Việt Nam than most other ASEAN countries amid optimism about rising prices. 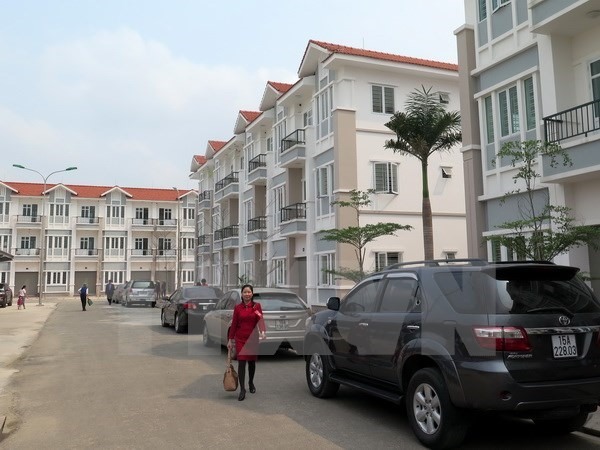 The fourth-quarter survey found 8.5 per cent of Vietnamese saying they planned to buy an apartment this year, equivalent to the number in the Philippines but significantly higher than in Indonesia, at just 2.6 per cent. According to FTCR, the Việt Nam Property Price Expectation Index increased to 85 points in early 2017 from under 50 points in early 2013. This indicated that the recovery in Việt Nam’s residential property market, which emerged three years ago from a bank debt-fuelled downturn, had potential to grow further. An improved environment for bank lending, along with low inflation, strong gross domestic product growth in the past two years, rising income and rapid urbanisation – at roughly 3 per cent annually – have contributed to investment from developers and homeowners. In addition, liberalisation of the market for foreign buyers in 2015 – in particular, allowing a quota-based system for ownership in certain residential segments – led to an unprecedented level of foreign investment in the country. FTCR said total investment in the field accounted for 7 per cent of newly registered foreign direct investment into Việt Nam in 2016, worth a total of US$24.4 billion. In addition, there were several differences between the current cycle and that of the mid-2000s boom that suggested this was more sustainable. Much of the demand from buyers currently is for end-use, while most developers are dedicated property companies focused on mid-end segments, it noted. The Vietnamese market is expected to remain on an upswing, particularly relative to other markets in Southeast Asia, it added.